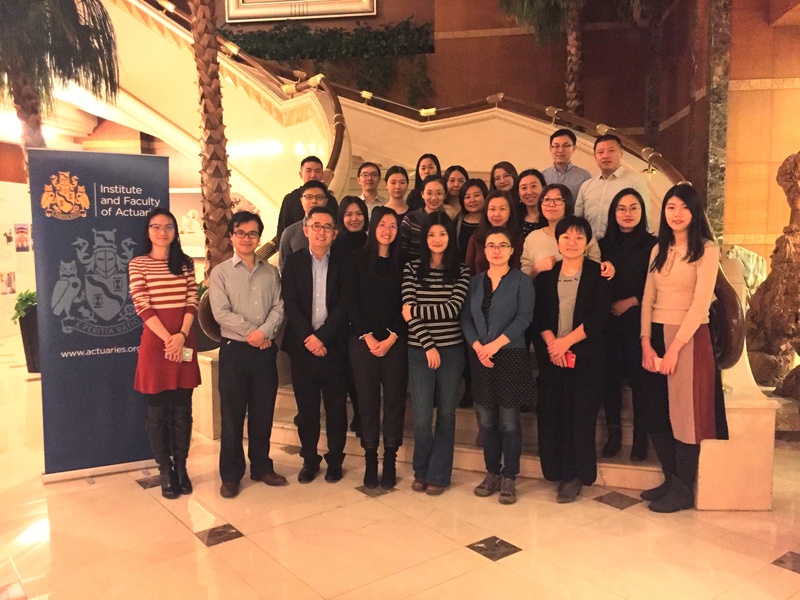 to build a bridge between the IFoA in the UK and members in Beijing. There are at least four technical events a year in Beijing, including talks given during visits by the IFoA's presidential team and executive. Meetings held during presidential team visits are often held jointly with local insurance companies, local actuarial and non-actuarial associations, with the aim of expanding the influence of the actuarial profession, and often attract members from other actuarial societies, such as the Society of Actuaries and the Australian Actuarial Society. Besides the regular CPD and PST events, there is also the occasional social event which aims to bring all Beijing-based members together. The regional communities in China have also started a tradition of holding an annual New Year Members Event and Thank-you Receptions for Volunteers. Above is the group photo for the Beijing regional member gathering in 2019. These regional communities have used their IFoA member subsidy money, to help organise these fantastic events. You will find more information about the IFoA member subsidy and regional events on these IFoA website pages. If you would like to find out more about this group, please contact Wen Li or Ellen Yang. If you would like to suggest a topic for a talk or offer the use of your office to host an event please contact Ellen Yang or the IFoA Beijing office.